In a press release, Bethesda explained the rules for a Chaos Event designed to shake up Elder Scrolls Legends. "Chaos Arena is a new optional mode for PvP that will randomly introduce one or more special scenarios or lane rules to each match. Some of the special Scenarios include starting the game with extra Magicka; beginning the game with cards already in the lanes; having the players swap entire decks at the beginning of the game; and much more." The Chaos Arena will last from December 14 until December 19. 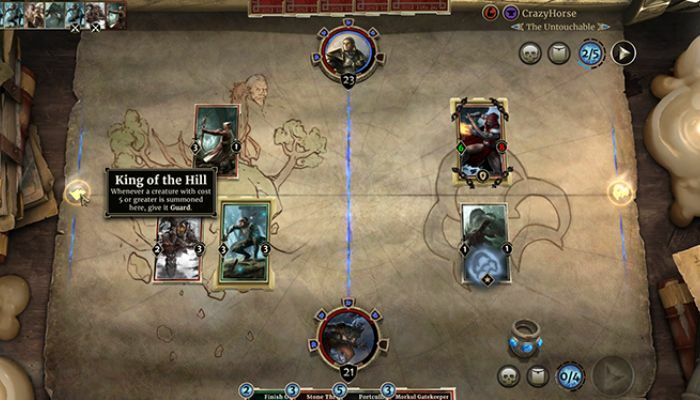 Alongside the arena, Bethesda will release the Madhouse Collection set of cards. Buying the collection gets players three copies of each card and an Arena ticket that they can redeem to compete in the Chaos Arena right away. The Madhouse Collection cards go on sale on December 15. Players can purchase them using in-game gold or real currency.